Superdry women’s denim micro mini skirt. The perfect item for that day to night look. Featuring button and zip fastening and the classic five pocket design. This skirt also has distressed detailing and a fringed hem. 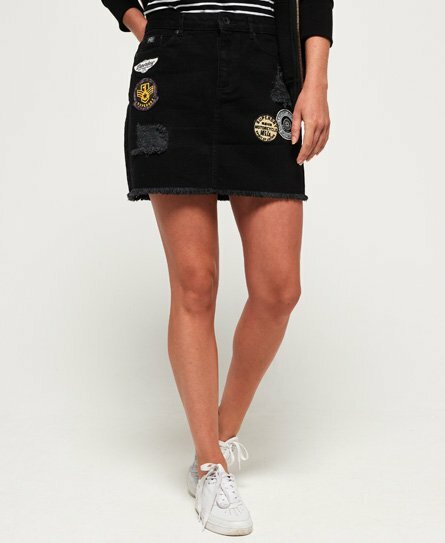 The skirt is finished with a small logo badge on the coin pocket and an embossed leather logo patch on the back of the waistline. Pair the denim micro mini skirt with either trainers or heeled boots.